Samsung began offering Android 7.0 Nougat to users in its beta program on November 10, 2016. The beta came to a close last month after the fifth and final version was pushed out to users under the build number ending in 1ZPLN. This update was released a couple of days after Christmas and fixed a couple of bugs, including a fairly annoying one that caused your device to randomly reboot. With testing complete, Samsung silently began pushing out the official Android Nougat update to a small amount of users this week. So far, there haven't been any complaints, but there has been a lot of chatter over all of the new features Samsung has embedded into their skinned take on Google's Android. The Nougat update has a build number ending with 1DPLR, so be sure to take that update if you see it. Besides the giant obvious change from Android Marshmallow to Android Nougat, Samsung decided to include a few other features that no one saw coming. We'll check out the highlights below, but suffice it to say, your Galaxy S7 or S7 Edge will be getting quite a few new features when the Nougat update rolls in. Samsung decided to theme the dialer app in their new UX. It's not quite the same as the dialer on the Pixel devices by Google, but at least it's not white and green anymore. 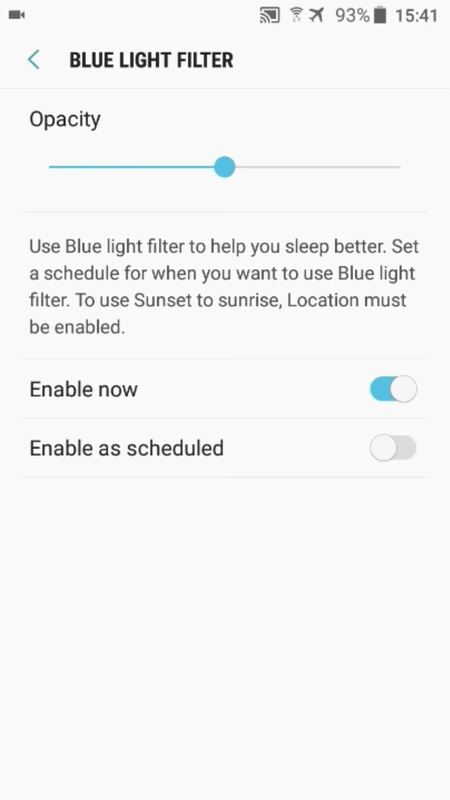 Samsung is finally giving S7 users a blue light filter, so your screen won't keep you up late at night anymore. With the setting enabled, you'll have a warmer, almost yellowish tint—none of those blue light frequencies that mess with your circadian rhythm. 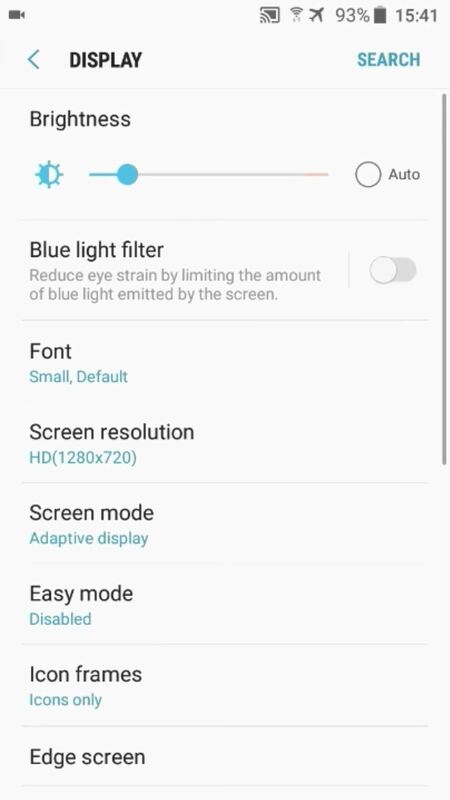 It's practically identical to Google's "Night Light" feature that was added to AOSP when Nougat debuted, but we're not too sure why Samsung renamed it. 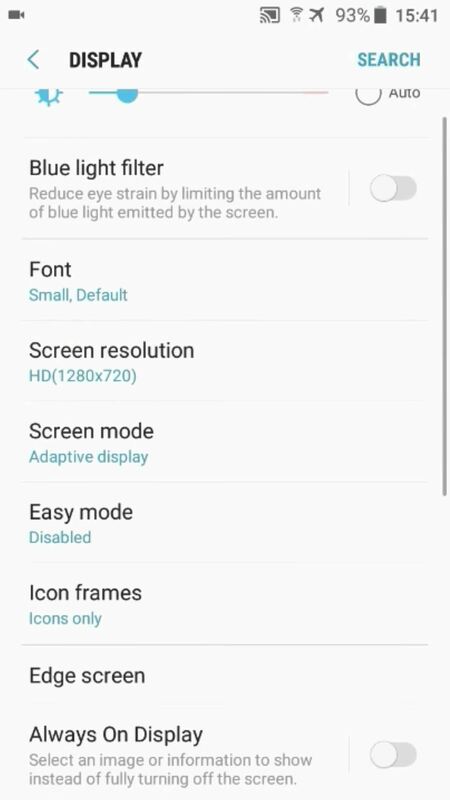 This next feature, called "Screen resolution control," was taken straight from the now-defunct Note7. 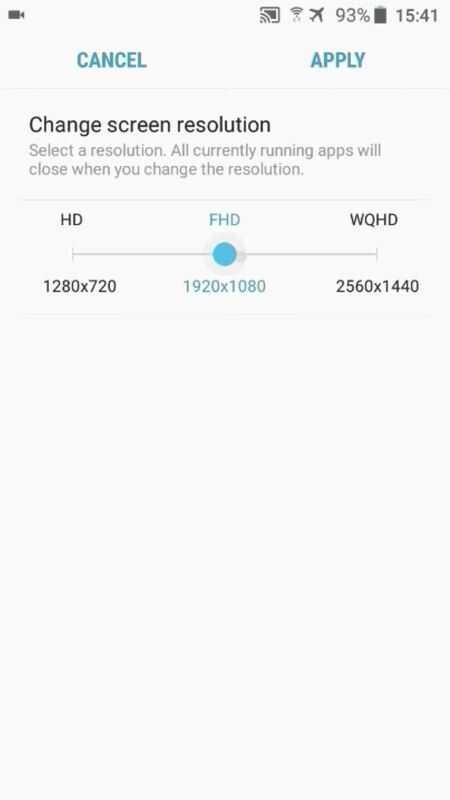 In short, Samsung will now allow you to change your screen resolution between HD and WQHD (with FHD right in the middle). There's only one benefit to dropping your screen resolution: The ever-so-slight increase in battery longevity (we're talking like one to two percent extra on a fully charged battery). Do note that several users have reported a drop in performance when they tried out this feature during the beta test, and that doesn't seem to have changed. Samsung is adding a pair of new default apps to the Galaxy S7 and S7 Edge. Samsung Pass is a password manager that saves your login info for practically everything, and allows you to log into your accounts with just your fingerprint or retinal scan. The second app, called Notes, does exactly as its name suggests—it makes it easy for you to takes notes. There are several other smaller updates, but they don't exactly add much functionality and most people might not even find them to be useful. If you're on the Nougat beta or the latest update, take a look at your calendar app and the toggles in the pull down—you'll notice that these interfaces have been tweaked, ever so slightly. Let me know if there's anything else you find to be important or worth adding in the comments below, and be sure to share your thoughts and questions on the latest Samsung update with us. News: Samsung's Galaxy Note7 Has Lots of Firsts—But Will It Be a Game-Changer? Note7 didn't have Samsung Pass. Samsung Notes was already downloadable from the store. Good points! I'll clarify that part in the article. Where and how can I download Nougat? 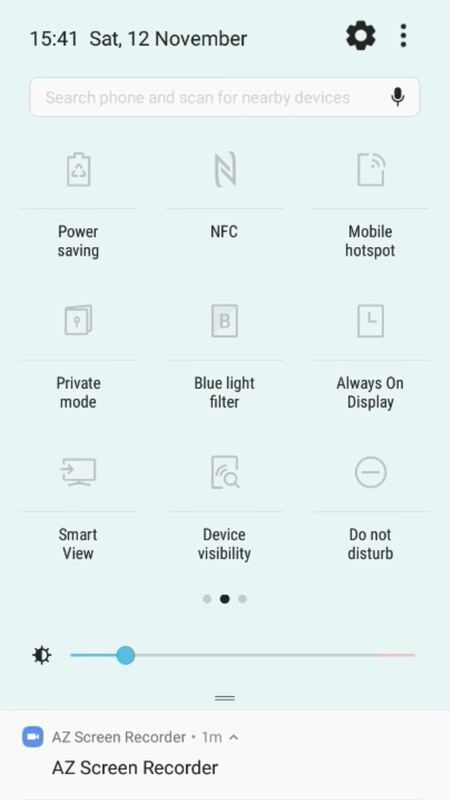 The update hasn't been released to everyone, but you can see if your phone has been offered it by checking for system updates under "Settings". Otherwise, it is possible to flash the last Nougat beta to your phone via Odin. Let me know if you need any assistance with that. Thanks man for ur quick reply. Just checked but nothing. How can I get beta to try? Do you have the S7 or the S7 Edge, and which variant is it? Here's a download link for an Odin-flashable version. Make sure to back up all your data onto your computer before flashing it, we have an Odin guide as well if you need to take a look. Just skip the stock firmware part, as you'll be flashing the firmware from the link I provided instead. How do I flash to get the upgrade? when will Note 5 upgrade to nougat? ?